As many of you may know, we moved into our new house in September 2015. Since then we have been spending a lot of our time, and money, on making it our home. We found the perfect sofa for the kitchen in a large department store but I’ve never really been keen on the cushions which came with it – they’re kind of itchy! 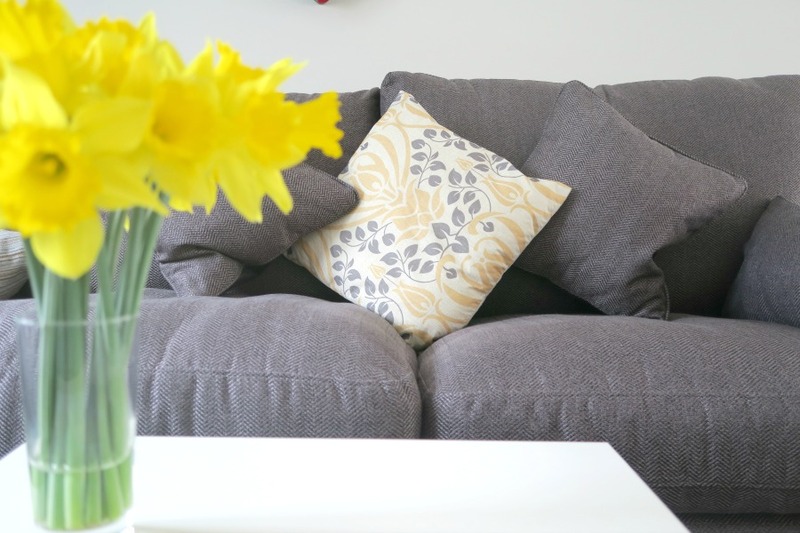 So, when I was approached by a local business to review one of their cushion covers I was over the moon as I knew precisely where it would live in our new home. Funky Cushion is a family run business based in Bristol, just down the road from my home town of Cheltenham. Finding local businesses is fantastic as I’m a great believer in unique retailers, local high streets and small start-ups. The range of cushion covers on the website is huge, I promise you there is something for all tastes and styles. 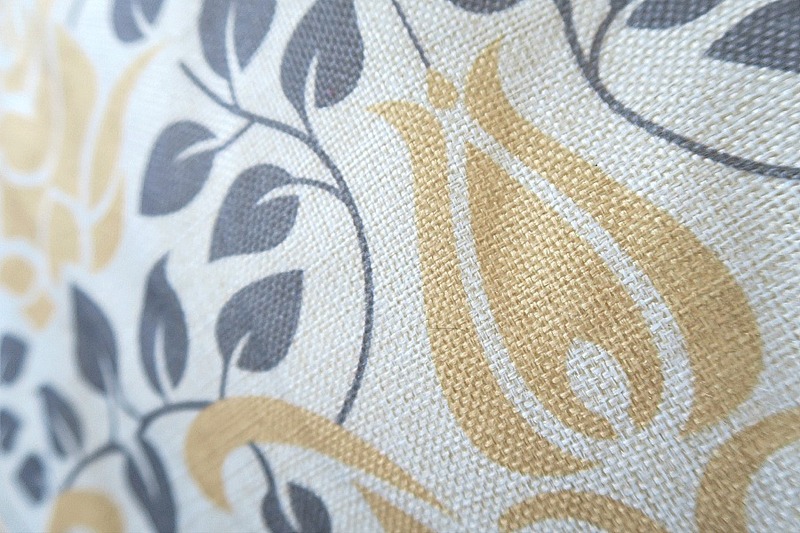 I knew I wanted to introduce some Yellow into our kitchen as I find it to be such a cheery colour and so I scanned through the cushion covers looking out for anything with a hint of Yellow. I found loads of cushion covers which tickled my fancy and now the only problem was choosing one. Eventually I ‘plumped’ (geddit?) 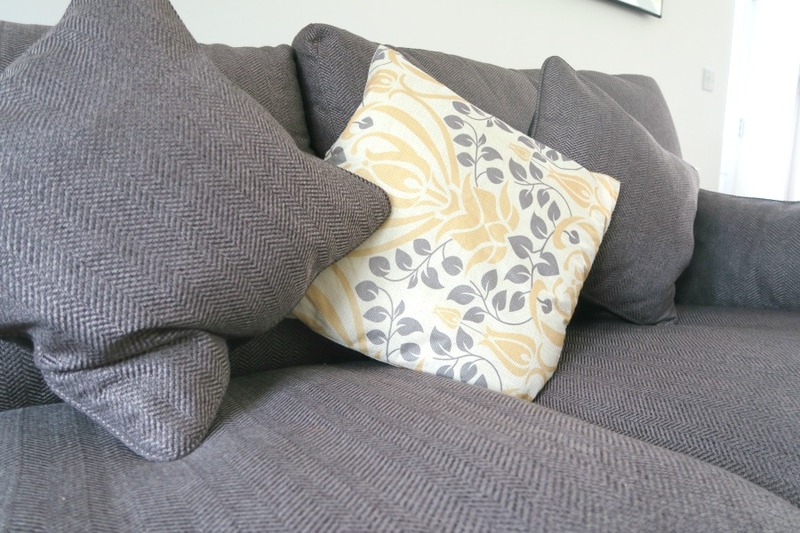 for the Yellow/Grey cushion cover which retails at £7.00. I think it’s quite refreshing to be able to purchase just the cover without forking out for a new insert too. I’ve picked up cushions (and subsequently put them back down) from high street retailers at £50+! At the prices on Funky Cushions website you could change the cushions every season. I was really pleased when my cushion cover arrived within a few days as Matt and I had the week off to do some home improvements anyway and it made the perfect addition to the kitchen sofa. Matt certainly enjoyed forty winks on the cushion come the end of the week! I had an insert ready to pop into the cover and it took minutes using the discrete zip at the side of the cushion. I love the textured feel of it – it looks quite expensive. I’ve seen a few more covers I’d like to get before Summer arrives to really give the kitchen a cheery lift.